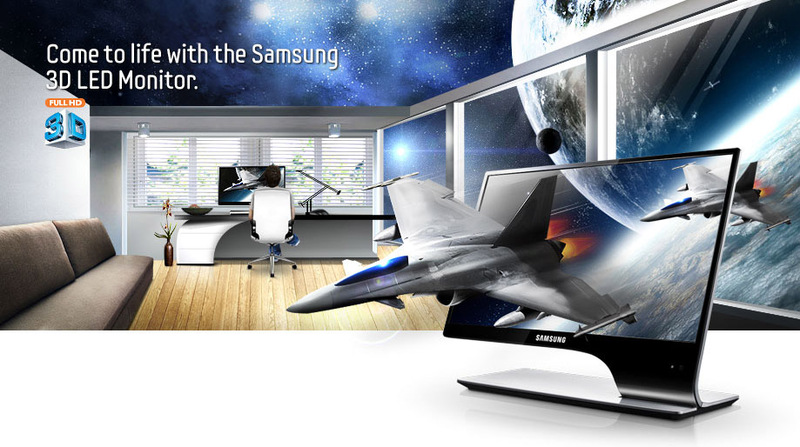 Immerse in Samsung 3D HyperReal Engine and brighter 3D imaging. We hope that a bright 3D Experience helps to change the way you view your monitor. The TA950 monitor* harnesses the amazing 3D Hyper-Real Engine and a 3D Converter to deliver a comfortable and yet exhilarating experience. Lots of aspects, from colour and contrast to 3D effects, have been finely tuned for outstanding results. Centralising your world of multimedia is simple. Whether it is through AllShare™ *, ConnectShare or one of many multimedia connections, such as HDMI or USB, the TA950 has you covered. If you just can’t wait to see your digital content, whether it is your movies, pictures or music, then make the most of ConnectShare. By simply connecting your compatible memory device HDD or USB to your HDTV monitor TA950 via the USB port, ConnectShare lets you view your content without having to turn on your PC or laptop. It is all about letting you enjoy your content, and is just another way the TA950 brings convenience to your day.